It would appear from Australian sources that there can only be one possible decision following the withdrawal of the Waratahs Ewan McKenzie. McKenzie has decided to extend his contract with NSW until 2008 saying, "Initially, I had a good look at the position, one I didn't anticipate would come up,I'm going down a path I enjoy, it's a challenge and one I want to see through. I've been asked to go in and fix some problems, we're on the right track and I would like to see it through. "I've had a measured look at the situation and still harbour a desire to coach the Wallabies but feel this is the best decision at this time. I haven't achieved what I want to achieve and now I can concentrate 100 per cent on the Waratahs." It is thought that should McKenzie have accepted the post and failed, it would have spelt the end of the former Wallaby's coaching career. He felt that considering how well he's done thus far with the Tahs, it was simply not a risk worth taking at this stage of his career. One wonders if Rudi Straeuli wouldn't have benefitted from such sage analysis? Another initial candidate, Auckland's David Nucifora, is thought unlikely to be a serious contender due to him not meeting the ARU's '7 years coaching experience' and the very real possibility he won't receive senior Wallabies support bearing in mind his ousting from the Brumbies. This has left the 54 year old John Connolly in a seemingly impregnable position. His 2 successful S10 titles with the Reds notwithstanding, it is thought that his success with French side Stade Francais and English premiership club Bath augers well for Australia's chances in the 2007 French world cup. It is likely that the ARU will appoint Connelly on a 2 year deal taking him to past the world cup whereupon McKenzie will most probably take over. Information sources: Sydney Morning Herald, BBC. Is there perhaps a reader from Down Under that can comment? 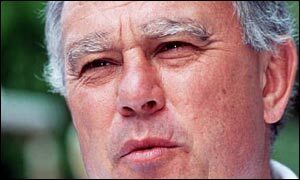 Boertjie, the Aus upper management resembles something close to SARU at this stage and that should explain most. For the last couple of years, probably more like decade and a bit but more to the front in the last five years, there has been a power struggle between various parties in Aus rugby. NSW and Qld has had the control of rugby in Aus since time begun, OK only half true as I understand NSW had it and Qld was seen as the country cousins until they started winning more than losing against them and the had to relinquish some power to Qld. Now all that came from this bitter fight was that NSW and Qld rarely see eye to eye and is always trying to knife the other in the back. On top of this came the emergence of ACT and suddenly it was not the two big dogs fighting one another but we have the strange situation where they suddenly stand hand in hand like old lovers in attacking the ACT and anybody else trying to wrestle power away from them! I expect O'Neil did not take the crap and for a few years he managed to control it, eventually costed him his job if rumours are to be believed. With him gone it all fell to pieces with the current results just one of the fall-outs! As for the coaches position, it should be very interesting, Knuckles cheesed of more people in Aus rugby than he care to remember and he burned all bridges leading to the coaching job. Now suddenly he is the last man standing and the ARU may not have any option but to pick him. All up it does not bode well for Aus rugby unless something drastic happens soon. With the politics in full swing and control I will be surprised if they don't pull another one out the hat just to spite him (and Aus rugby mind you)but the turmoil is such that backstabbing may well leave him in charge whilst the rest of 'Rome' is burning down! Truth be told, they have a problem, no real standout coach to take over with none of the guys mentioned up to the task. Link has to little experience and to his credit did the right thing. He was on a hiding to nothing and as a young coach has ample time to improve and make a name for himself in future. Knuckles as mentioned burned to many bridges and if picked will again be on a hiding to nothing with half if not more of the people whishing him to fail, recipe for disaster and nothing else. Nucifora is an enigma, most I have heared from the guy is that his rugby knowledge is no more than a highschool coach and most that he knows he learned from the players in any case. He has to many enemies amongst the current Wobbly players, will not be respected by most and again be doomed to fail. Mitchell was their only hope but he is not interested although I have a sneaky feeling he may well be convinced otherwise, watch this space. They have a few guys coaching across the globe and if politicts keep their noses out of it they may well pick a gem ala White from some obscure place. Everthing is not lost but heavily weighted against them though, we don't have to wait to long, by the end of the 3nations we will have a clear idea if they will be a force come WC '07. cool stuff thanks koos, very insightful. PA, Mtchell already indicated he is not interested in the head coach job and did not apply. He may well be convinced otherwise. Woodward! He is to busy working on taking over Sven's job and is probably not even aware Eddie got the flick! Foxsport is saying this morning Robbie Deans may be a late surprise entry but some of the other 'obscure' names include Foley and Scott Johnson. Rod Kafer was mentioned briefly as well as ... Pat Somethingorother, bugger, name eludes me now!! Pat Lam formerly from Samoa? Isn't he coaching one of the Kiwi S14 teams? I still believe that come 2007 the Aussies will still be a power to be reckoned with and we're writing them off at our peril. There are a load of damned good coaches in the European leagues to pick off and with guys like Gary Gold and Brendan Venter available here the doors are wide open for the Aussies to headhunt some damned good quality coaches all over the world. Where in the world is Tim Lane by the way? Nope, Pat Howard sh*t of Something Howard. Soos ek se die ouderdom haal my in...ek gee op! Keep your eye on this one. One has to remember that the very long and successful Canty mob are starting to fall apart, so the timing is just perfect for Deans. And when you consider his qualifications, he is light years ahead of the rest. However he may be permantly tainted because of his close relationship with John Mitchell. Certainly his NZ days are numbered as I don't think the NZRU will give him another berth. If the info is true, Deans should be a shoe-in ! The info from the ground in Canty is saying this is just a rumour. May be wishfull thinking by reporters, the ARU or his agent. If true, any change he will link up with his old mate Mitchell again?